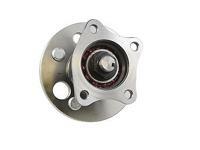 V-Trust premium quality OE replacement wheel hub and bearing assembly. No Modification, 100% OE fitment. V-Trust offers our customer the best quality products with the most competitive price. Powered by eBay Turbo Lister The free listing tool. List your items fast and easy and manage your active items.